It’s 6.00 am and we are off to the heather today. Yesterday we moved frames around to give us a maximum crop from the heather. All sealed brood was placed into the middle of the box, and all unsealed brood was then placed outside of these frames. Any stores was then left on the outside edges. The idea behind this, is that by the time the unsealed brood had emerged the bees will have been on the heather for about 3 weeks. This should force the bees to store any honey in the supers. Along with a young queen, we will be hoping for a strong colony to go into the winter with sufficient stores. Supers of thin foundation are placed on each colony and strapped and ready to move the following morning. 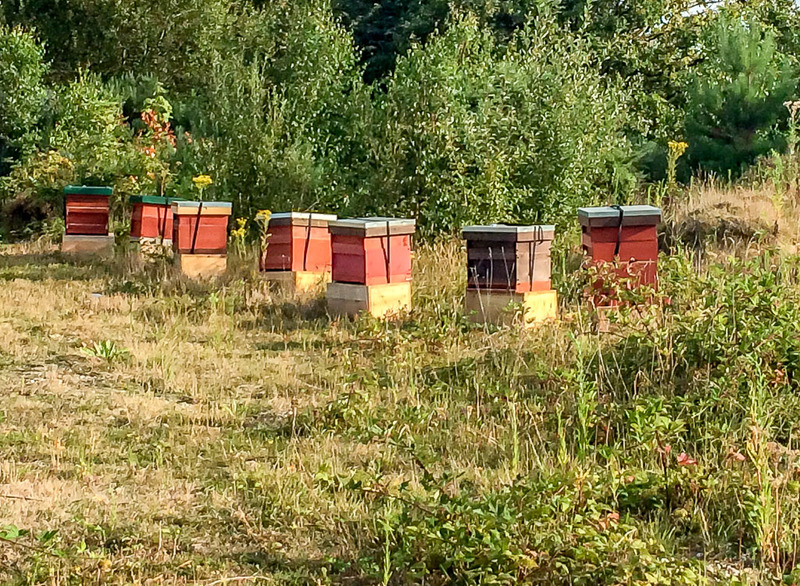 We placed some of the hives in small groups with the heather just on my right hand side. The ling heather was just starting to open and when we looked at the hives the following week, the supers were busy with bees. Hopefully they will be bringing in the heather nectar, if only to get their winter stores. 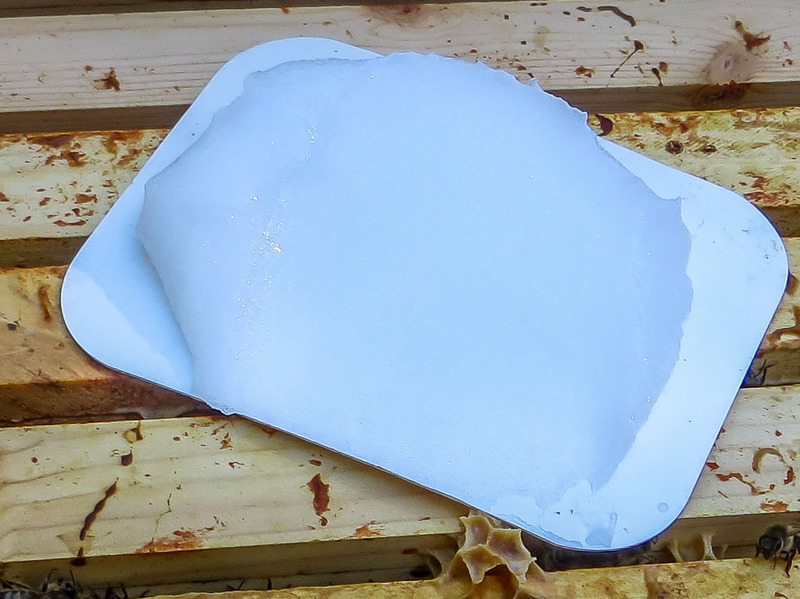 We have this week started to put Apiguard on the hives for their varroa treatment. This is our preferred treatment, although at the beginning of last year we used Apistan. If you use Apistan, then only use it about every 3 – 5 years as there is a resistance build up to it. We used the Beltsville test to determine resistance in our colonies. If you go to the Defra website and search for Beltsville, you will find instructions on how to do the test. Along with the Apiguard, we will be using oxalic acid in the winter as well. This is given by sublimation and we will post when we actually do it. This entry was posted in Beekeeping and tagged Apiguard, Beekeeping, Bees, Heather Honey. Bookmark the permalink.